Defecating on Reed Richards isn’t that hard to do, really. To be honest, it’s a jealousy thing. The Fantastic Four leader gets to bump and grind with the extra-hot Sue Storm and his superpower is the ability to stretch body parts to inhuman lengths (guess how we’d abuse that power). Since the character is so inherently hate-able, Welsh actor Ioan Gruffudd stepped into the part with an unavoidable handicap, but that’s the only slack we’ll cut for him. 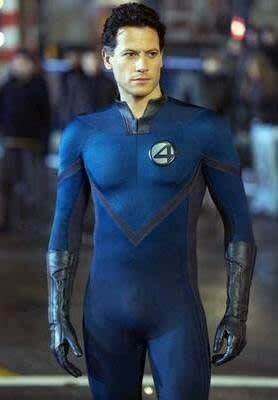 The reason why the movie version of Reed is so lame is because Gruffudd is an empty vessel, devoid of any personality. They might as well have had Jessica Alba tongue down a cardboard cut-out.